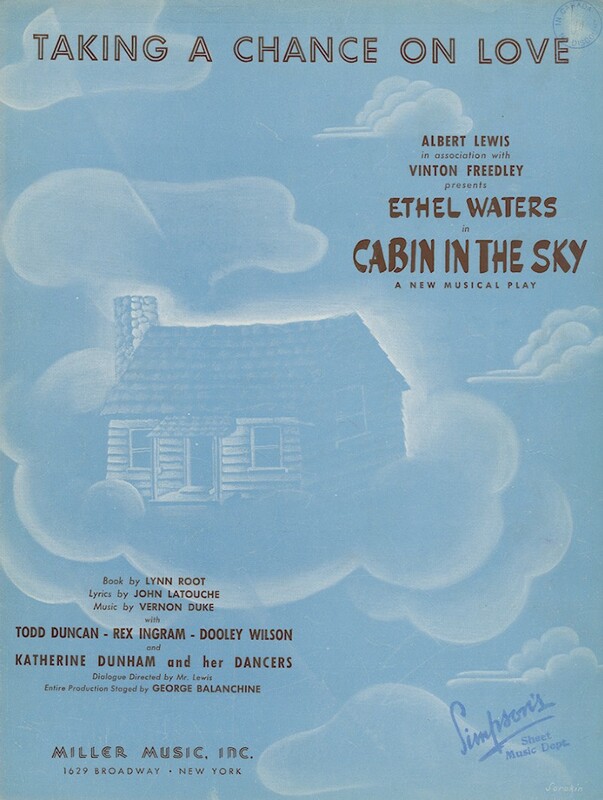 “Taking a Chance on Love” was written for the 1940 musical Cabin in the Sky, where it was introduced by the great Ethel Waters and Dooley Wilson. The song works well for both jazz singers and instrumentalists, with significant recordings by Dave Brubeck, Tony Bennett, Judy Garland and Dizzy Gillespie. “Taking A Chance On Love” was recorded on September 11, 1956 and released in 1957 on the album Tony. It was arranged by Ray Conniff. “Taking a Chance on Love” was recorded on December 30, 1958 and released in 1959 on the album In Person!. It was arranged by Ralph Sharon. “Taking a Chance on Love” was recorded live at Tony Bennett’s concert at Carnegie Hall on June 9, 1962, but was not released until 1997 on the album Tony Bennett at Carnegie Hall: Complete Concert. Ralph Sharon arranged the song.